The Universal Mini-mount is a new generation, low profile and lightweight microphone mount, with major design advances from the first generation of 13 years. The isolation design of the Mini-mount product line is modeled after our full sized cradle mount, which since 1975 has been by far the quietest microphone mount design in the world. This new Mini-mount now has the same full size isolator block units, giving identical isolation performance. This highly tuned V4 stable isolation platform gives a microphone float, without �flopping� around - like mediocre, rubber band in - a - loop designs. Having a natural frequency of just 3-5 cycles, the double cantilevered suspension effectively isolates your microphone from incoming camera noise, lens noise and mic boom handling noise. This is accomplished through direct sound cancellation and energy transposing principles. It is balanced to function with or without a matching slip-on windscreen. 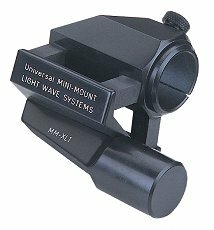 The Universal Mini-mount is so named because, like our full size MM30m Mini-mount, the unit holds any light to medium weight microphone up to 30mm in diameter, with an appropriate mm sized reducing sleeve. This enables a fast changeover to short or long directional mics, as the situation dictates. The Universal Mini-mount is also modular in design. The microphone isolation assembly (cradle) is detachable from the lower section (carriage), allowing the mount to be attached to other camera clamp carriages, camera shoe fittings, etc., by means of two stainless steel Phillips head machine screws. 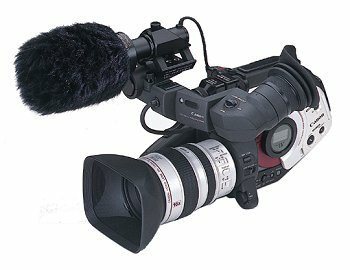 The camera carriage utilizes the existing camera clamp and holds the Mini-mount above or to the side of, or even below the clamp, either ahead of it or behind it, depending on mic balancing considerations and the mic�s positioning length along the camera. The cradle can also be instantly fitted to a swivel assembly for attachment to a hand held mic boom, fixture mount, etc. Mini-mount is ideal for isolating desks, tables and podiums. With the Universal Mini-mount, a change from a short, wide angle directional mic for interviews and the like to a long highly directional mic for longer range views, such as audio selections within a crowd, bird and nature work etc., takes only a few seconds. If the background sound/noise is unacceptable, a moment only is necessary, to have the Mini-mount/microphone on the end of your hand held boom. Unit weight: 1.7 ozs. - 48g. There's no retirement age out in dust country.